As an existing client of International Student Insurance, you have access to a wealth of insurance information to help you effectively manage your insurance plan. This Student Zone is designed for Tokio Marine HCC - MIS Group customers who have purchased either the Student Secure or Atlas Travel insurance products. 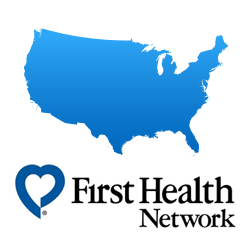 When contacting a provider in the US, be sure to let them know that your plan is part of the First Health Network. While providers in-network have agreed to accept direct payment, you may want to confirm with them prior to seeking coverage to ensure smooth processing of your claims. Access to the student zone is available to all clients, however, please allow a few hours after purchasing your plan before accessing the service. Have a new policy? Registration is quick and easy. Already have an account? Sign in with your existing information. For more detailed information and a step-by-step guide on how to access MESA, please click here. We recommend that you scan all these documents, or take a picture with your phone, and email them to the claims team for faster processing. They can be emailed to service@hccmis.com. For non-emergency medical care (i.e., flu, cold, minor injury, etc. ), please visit a local doctor, urgent care center or walk-in medical clinic. If you need emergency care (such as a life-threatening injury or illness), go to the nearest hospital emergency room or call the emergency services (911 in the US) for immediate assistance. Providers can be located using our online provider search tool, or you can call the assistance number on your ID card for help. Doctors will require an appointment, while clinics and urgent care centers may let you walk in for immediate assistance. Please note: Do not go to the emergency room if you do not have a true emergency as there may be an additional deductible. When you arrive, be sure to show your insurance ID card and inform them that your insurance is part of the First Health Network (the logo is on your insurance ID Card). Please note: If you do not have your ID card with you, contact the provider after your appointment and provide them with your insurance details. In-network providers are typically able to bill directly, so you will just need to pay your deductible, and the bills will be sent direct for processing by the claims team. 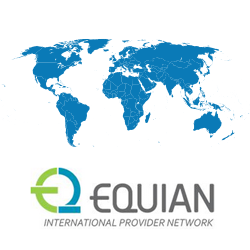 Out-of-network providers may ask for payment upfront, in which case you will need to pay the provider and then submit a claim form for reimbursement. Prescriptions filled at the pharmacy are always by reimbursement only. Immediately after seeking treatment, complete a claim form	, accident form (if treatment was a result of an accident), itemized receipts/bills, along with a copy of your visa/passport, and email those to service@hccmis.com for processing. This plan is underwritten by Lloyd's.